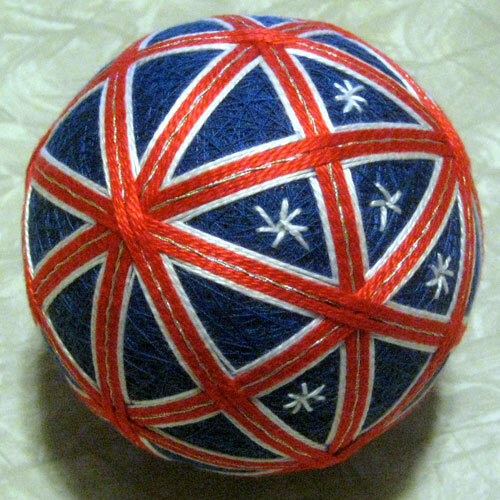 I started with the "Heaven's River" pattern from Barbara Suess' Japanese Temari book, but then added six stars. It was made for Naomi, who is from Australia, so I used the colors of the Australian flag and then placed the stars roughly in the shape of the Southern Cross (one 5-pointed star and five 7-pointed stars). 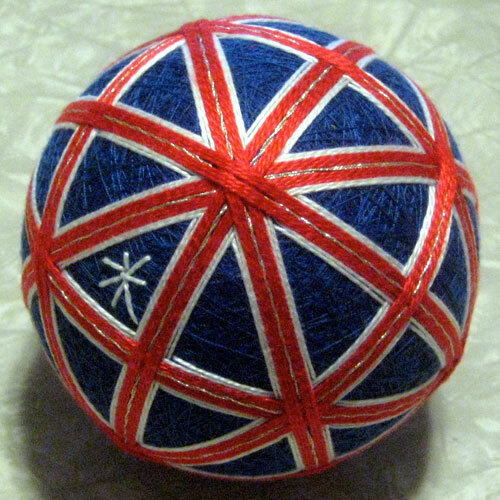 The intersection of the wrapped bands matches the Union Jack in the corner of the flag.